Jake made his first online training program for financial planners in 2010. Since then he has spent countless hours learning the best digital marketing techniques that work for Financial Planners. Jake and his team work with their clients to create a cohesive digital and in-office experience that courts and educate's a firm's ideal prospect and grooms the RIA's digital audience to become clients. The team at 4FP has years of experience focused on the needs of Certified Financial Planning™ Professionals and fee-only Registered Investment Advisors. We help our clients sculpt their digital presence, no matter where they are in the process. Advisors who work with us are able to educate and communicate with their prospects and clients en masse, which saves an immense amount of time and ensures that they are putting their best foot forwards. Our process helps firms communicate their company culture, brand and thought leadership. Our strategies minimize the time required and the effectiveness. An upbringing in the financial planning industry and decades of experience working professionally with technology and IT make us exceptionally qualified to understand the intricacies of digital marketing for financial planners. We bridge the gap between your firm's digital marketing and tech needs with what your budget can afford and enable you to create an engaging high tech / high touch experience for your clients while knowing the complex compliance ballet RIAs need to ensure they build their business with regulators encouraging great business practices. Our solutions enrich your firm’s digital presence and support your efficiency to improve your bottom line. Jake has been able to acquire expertise with the purpose of helping the Financial Planning industry by acquiring the technical knowledge needed to take your firm's online marketing to the next level. He founded Digital Marketing 4FP to serve Certified Financial Planners™ and the CFP® Industry as a digital marketing ad agency. Digital Marketing is an ever shifting landscape. New tools and strategies come out regularly and knowing what will work best for you isn't intuitive, at best. Would you like a systematic plan that guided prospects along a journey where they get to know, like and trust you? We work with clients to create personas that are lead down a planned customer journey that allows prospects to learn more when they are ready. At the same time you to leverage your time and thought leadership. We bridge the gap between your tech needs, the six step financial planning model taught by the CFP Board and approved certificate programs and matches that with your business’s demands to create an engaging high tech / high touch experience for you and your clients. Our solutions enrich your firm’s online presence and support you and improve your bottom line with contemporary digital marketing strategies. Jake got his first computer in 1985. He was six. It didn't have a modem or a hard drive but had Super VGA and had a whopping 2MB of RAM. His fascination with technology grew as the internet came into being. He has watched the it evolve and brings a broad range of understanding to coach his clients. His first job after receiving his Psychology B.A. from the College of Wooster was with a boutique financial planning firm in the Loop of Chicago. After this he moved to boulder to participate in the hey day with the Integral Institute and after was a supervisor with the data mining firm Umbria Communications. Jake has worked for several RIAs and has listened to the needs and concerns of the financial planning community throughout his professional career. He brings the knowledge he acquired from these companies to his current clients. His first online advisor training program was wile he was the manager of Community Relations for the online Registered Investment Advisor Myfinancialadvice in a project called Online Advisor Central. In 2013 Jake started Wagner Communication Systems. It was easy to see how difficult the internet and software landscape can be for Certified Financial Planners™. He established the firm to help CFP® Professionals by coaching and implementing the best compliant digital marketing strategies available. 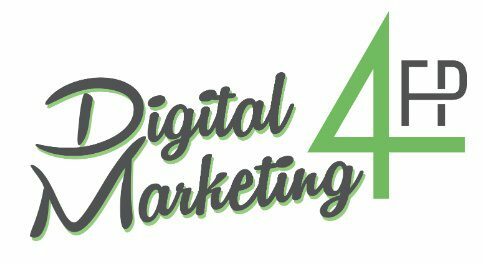 After working under the Wagner Communication Systems banner for 2 years Jake started the Digital Marketing 4FP podcast and in May of 2017 he rebranded his firm to Digital Marketing 4FP, LLC. In 2016 Jake enrolled in Digital Marketer's most prestigious program, Digital Marketing Mastery to acquire the Certified Digital Marketing Professional designation. Digital marketing is a combination of strategies only available through the internet and traditional marketing. Using remarketing pixels, Avatars/Personas and using a combination of these tools to create a custom journey that leads your ideal client to from not knowing you to being a loyal and raving client. He now shares that same training cirriculum with his team. We use powerful technologies, strategies and insights tools to get the job done. We listen to you and work with you to attract the type client who will help your firm the most. We help firms attract clients by building an online presence that is ideal for both your prospects and clients. Our goal is to enable better client opportunities for you and use your digital presence to build your relationship with your existing clients. By using digital marketing strategies we help you communicate clearly. Guide your prospect along a natural path getting to know you as their trusted advisor. Creating Ad Grids that guide your paid traffic strategy. Establish Effective Report with your audience. Cultivating your relationship as their trusted advisor. Relate to your clients, prospects and audience with the tools available through social media. Understand how your prospect finds you and how your clients see you. Measure and improve your process. Know what progress looks like.